Love reading? If you have answered in the affirmative, then you might be interested to know that tomes from the old school are not that trendy these days, what with e-book readers as well as tablet devices of different screen sizes are starting to make their way up the popularity charts among people from all walks of life. Well, Sony surely has something special for all of you e-book lovers out there with their Reader Store that is now available in the form of a new web-based Reader Store as well as an Android Reader App, delivering more freedom for you to be able to read the content that you love, regardless of the time and place. 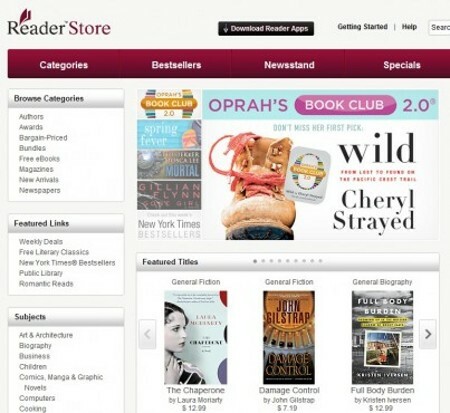 This new web-based Reader Store is said to enable you to access your Reader Store account from just about any compatible web browser, where you can then follow up by signing in and purchasing content without the need to install any software to your computer. Surely works great in reducing the amount of bloatware, does it not? The web store will also officially support the latest browsers on Windows and Mac platforms, where among them include Internet Explorer, Safari, Chrome and Firefox. Just what does this translate for the ordinary man on the street? If you have not figured it out already, let me break it down into an easier manner for you. Each time you discover your next story, you are able to purchase it there and then according to your convenience, and any eBook that you pick up from a web browser will be waiting for you on the Reader App or wireless device. Yup, it is that simple without any strings attached. Not only that, the Reader Store eBooks will also function with just about any Adobe DRM supported app or device, giving you the opportunity to be able to download and read content in a variety of new ways, and that would include doing so on some other non-Sony devices. Needless to say, Sony is biased towards their Reader Apps and devices.